Now they need a real home where they can stay together. 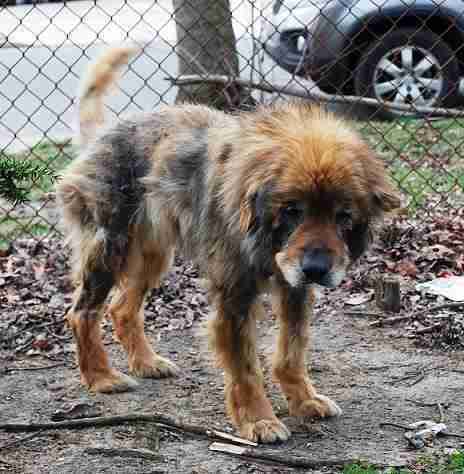 A 13-year-old chow mix named Bagel escaped the yard he called home in Central Islip, New York, earlier this year, after suffering nearly a lifetime of neglect. The scruffy chow was found sitting on a busy sidewalk by animal advocate Debbie Davidson, who happened to be driving past. 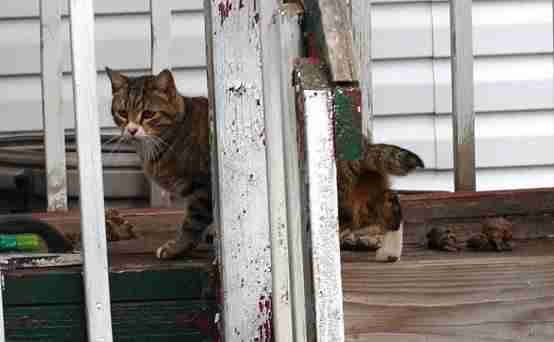 Bagel was missing patches of fur and his skin had hardened, leading Davidson to believe he was a stray. As Bagel was about to step into the road, Davidson stopped and got out to make sure he didn't get hit by oncoming traffic. 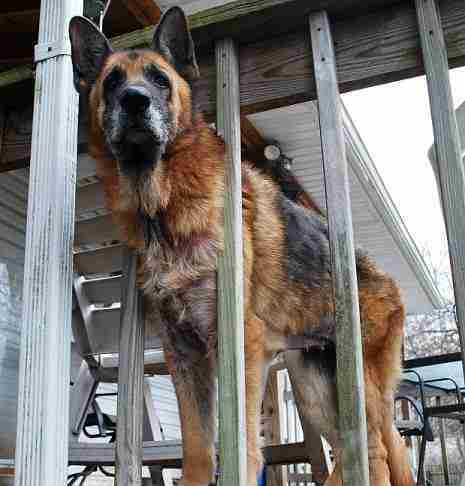 It came as a complete surprise to Davidson, however, when a woman exited a nearby house to call Bagel back inside an open gate leading to a yard. The woman tried to brush Davidson away, but she was persistent in asking why the dog was so unhealthy. She recalled the foulness of the yard as though it were yesterday. "It was disgusting, poop everywhere," Davidson told The Dodo. "[Their] food and water bowls were filthy, the water was dirty. 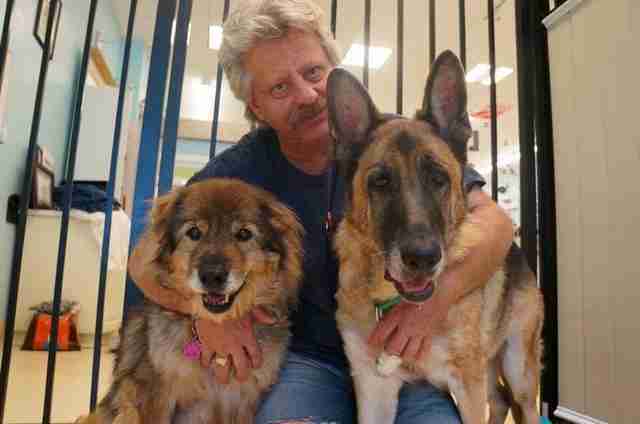 It was just horrible, and the poor pups smelled awful." In addition to Bagel, there was a female German shepherd in the house, roughly 8 or 9 years old, who was also exhibiting poor skin condition and signs of hip dysplasia, according to Davidson. 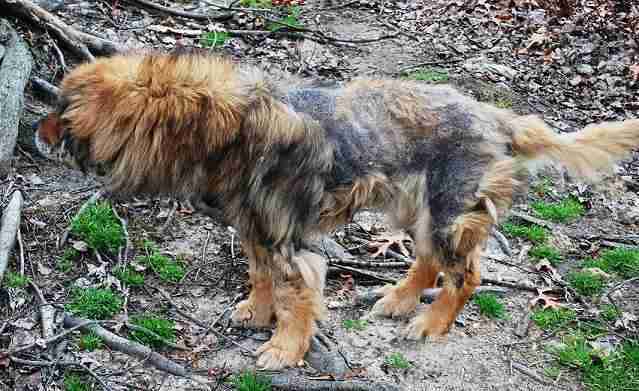 Both dogs' nails were so overgrown that they had to hunch over to walk, and it was clear to Davidson that they hadn't been bathed or groomed in a very long time. Finally, and perhaps most heartbreaking of all, she met a 5-year-old cat in that same filthy yard who could only move by dragging his hind legs along the ground behind him. The woman Davidson had been talking to said that she had recently lost her mother and that her father, the pets' primary owner, was selling the house in order to live at a retirement home. He had been driving around the neighborhood, asking anyone he could find to take in the animals. Davidson said both dogs were at least 20 pounds underweight, despite the woman telling her they were "fine." 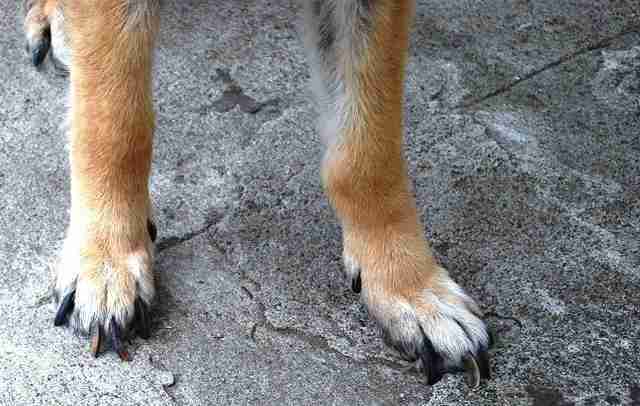 The owners were so uninvolved in the animals' lives that they did nothing about Toby's hind legs, assuming he was paralyzed and couldn't feel anything, according to Davidson. In order to help the animals as quickly as possible, Davidson convinced the animals' owners to let her find them new homes herself. She put out a plea on Facebook for help, and within 24 hours the Pets4Luv Foundation (with the aid of Road to Home Rescue) had all three pets in their care. 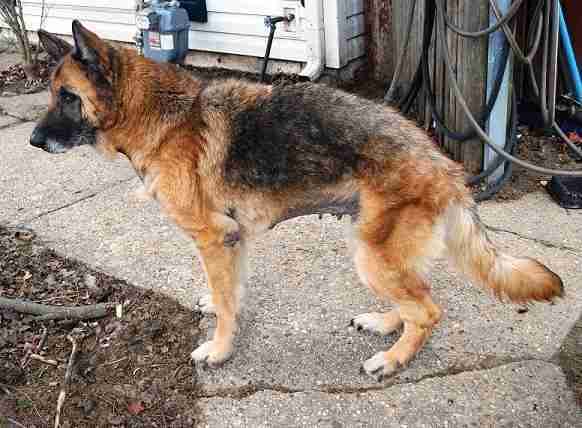 The animals were in worse shape than they had first appeared, with Bagel and Chloe harboring parasitic worms, bacterial and yeast infections, which caused the hardened black skin, and ear infections. Bagel's ear infection was so bad that she is now deaf. 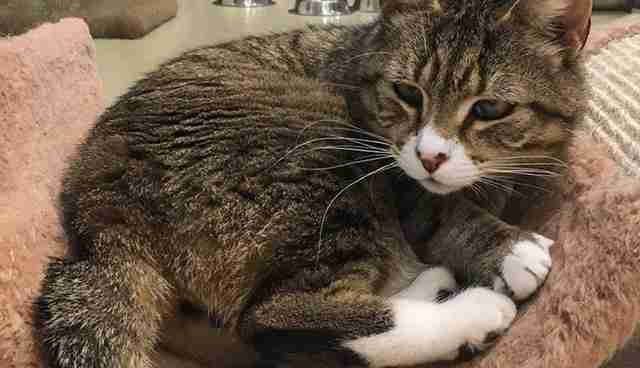 Toby the cat's suspected paralysis actually turned out to be a genetic disorder - he was born without the connectors keeping his knee caps in place. 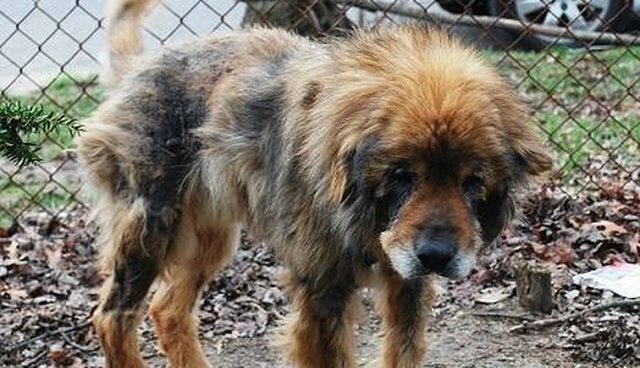 "It is clear to see when pain is affecting Toby the most because he will act differently," Bobbi Anne Thomas, a Pets4Luv volunteer, told The Dodo. "For example, just lying on the couch and not playing with the others." "It's absolutely amazing what was done and what these animals went through, and how affectionate they are," David Bernacci, head of the Pets4Luv Foundation, told The Dodo. 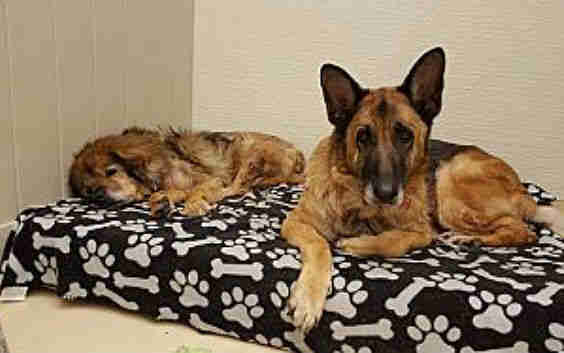 Now referred to as "The Islip Three" by rescuers who share their story on social media, Bagel, Chloe and Toby have been waiting for several months to find a loving home. 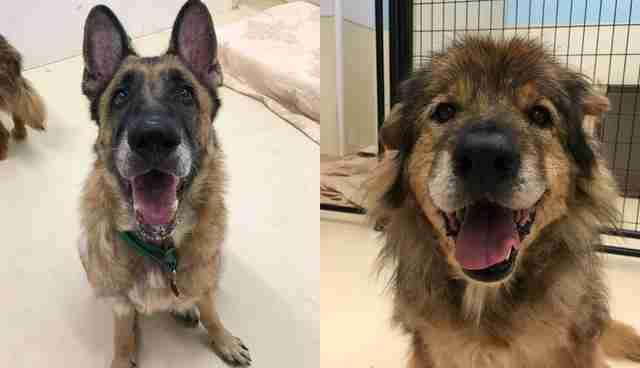 They are favorites among the shelter's volunteers, yet only a couple of people have called to ask about the bonded senior pair and no one has followed up afterward. The dogs have been medically treated since their ordeal and their coats have grown back in nicely, but they are still in need of more extensive work on their ears, teeth and leftover skin problems - Chloe still needs to have surgery for her hardened skin, which is causing her discomfort. Pets4Luv was able to raise enough money to do surgery for one of Toby's back legs and his torn ACL, but still desperately needs money to perform a costly procedure on his second knee. 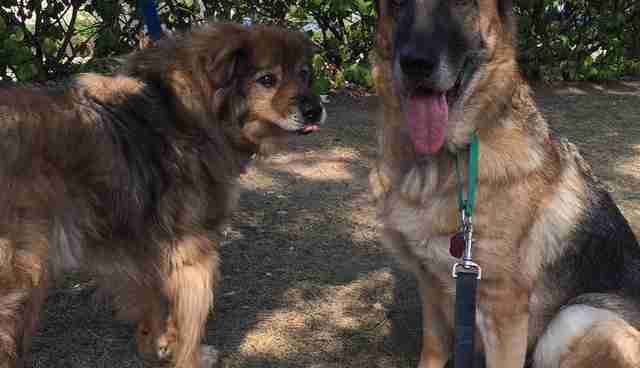 Bagel and Chloe are a senior bonded pair that must stay together, and prefer each others' company to that of other dogs. Both pups love cats. 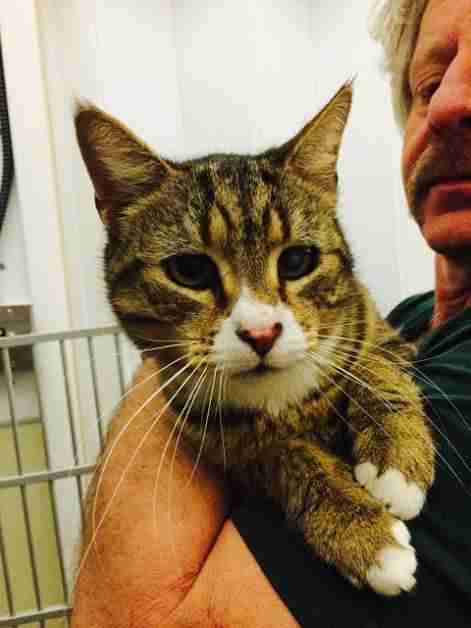 Toby is great with everyone, but would be best with older children who can be gentle with his injuries. For more information on fostering or adopting Toby, Chloe or Bagel, please call Pets4Luv at 516-832-8200 or email info@pets4luv.org. Pets4Luv is willing to help cover medical costs for anyone able to take in these pets, but they desperately need donations for urgent medical care.